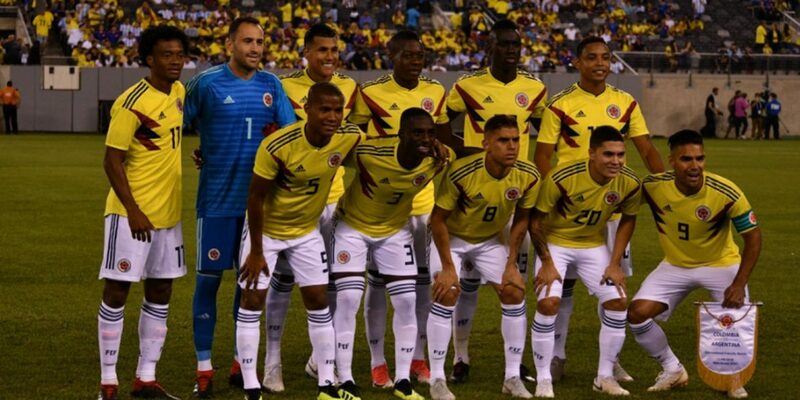 Colombia’s national football team on Tuesday played out a scoreless draw against South American rivals Argentina in an international football friendly in New Jersey. In an open game, both teams lacked a real cutting edge in the final third as defenses came out on top at the MetLife Stadium for a first goalless encounter between the two sides since 2014. After what was a scrappy opening, the game sprung into life when River Plate midfielder Exequiel Palacios launched a speculative half-volley from outside the area in the 7th minute but Colombia goalkeeper David Ospina just managed to tip it over the crossbar. Argentina enjoyed the better of the opening changes with the Colombian defense struggling to deal with the movement of Mauro Icardi up front, who tested Ospina again in the 15th minute. With Ospina keeping his side in the game, “Los Cafeteros” struggled to gain a foothold around the middle, a 27th minute Radamel Falcao shot the best they could produce in a lackluster first half. Colombia started brightly after the half-time team talk with Luis Muriel putting his team on the front foot in the 49th minute when he saw his thunderous shot stopped by Argentine net-minder Franco Armani. Argentina responded with Lo Celso’s effort going wide past the right post in the 53rd minute and Maximiliano Meza going close with a header in the 56th. The game gathered a real bite moving into the final half hour with Barrios and Tagliafico clashing near the sideline on the stroke of the hour and the referee subsequently brandishing yellows to Colombia’s Falcao and Argentina’s Cervi and Lo Celso as tempers flared. Both teams pushed for the decisive goal but it failed to arrive and despite the best efforts of substitutes Nicolas Benedetti, Luis Diaz and Sebastian Villa, Colombia had to settle for a share of the spoils. While “La Albiceleste” was unable to call on the services of veterans Lionel Messi, Gonzalo Higuain and Sergio Aguero, Colombia’s temporary coach Reyes will be satisfied with a battling performance as he took the opportunity to introduce new blood into the squad. Colombia will face the United States on October 11 in Tampa, Florida before taking on Costa Rica on October 16 in New York in further international friendlies as the post-Jose Pekerman rebuilding mission continues.